I’m one of those women that has to have things in order at home to be able to think straight. I feel so unorganized and discombobulated when my house is messy! Are you like that? But life is busy and it’s easy for things to get out of whack in a flash! Here’s what I try to do to keep things presentable at my house. Throw in one load of laundry – On the days when there aren’t enough clothes for a load, I try to wash kitchen towels and pot holders or the throw rugs. This is another way to keep things presentable! In the spring it will also include one room of curtains. Make the bed – Let me just stop here and say that this is HUGE to me. The bed takes up so much of the room. If it gets completely made with the comforter smoothed out and straightened up, pillows in place, and accent pillows arranged, the whole room takes on the look of being clean! Clean the bathroom. I do this as I’m finishing up getting ready. I actually have a little way that I challenge myself to get it done quickly each day. Other days I’ll deep clean it, but it generally takes me about three or four minutes to wash out the two sinks, the tub, shower and toilet. Everything is shiny and smelling clean when I walk out! Empty the waste baskets. When I bring the dirty litter out of the laundry room, I immediately empty the trash in the rooms upstairs and set the bag at the top of the steps to go down to the trash can. 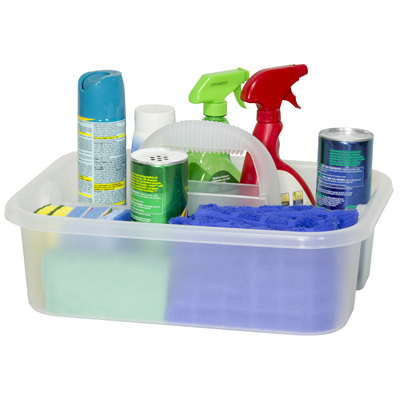 Put away any clothes or items that are in the bedroom or bathroom. With all these things done, when I go downstairs and start my day, the upstairs has been touched and cleaned so that it’s all presentable. It might be dusty or need a vacuuming, but it’s straightened up and clean! I love that. #2 Don’t put it down, put it away. #3 Have a place for everything. Which of these three rules are the most difficult for you? Make one little change at a time, if necessary, until you get your house to a place that makes you feel rested. That’s when you know it’s also presentable, because no one else matters but you and your family! Refresh your home with three little rules! Work – too many people associate it as evil. But to be able to work is really a blessing! are two simple reasons to tell God thank you! Work was created in the Garden of Eden before sin entered the picture. God works. We should work. Our purpose is that it is ordained of God and we should do it for His glory.